The finance team of Sayenko Kharenko remains abreast of significant recent assignments on the Ukrainian market, and reported on cross-border financings for a total amount of over USD 5.2 billion in 2014. The firm’s recent projects include: advising on USD 3.9 billion financing to the Independent Petroleum Company; USD 500 million pre-export financing to Duferco; EUR 300 million state guaranteed financing to Energoatom; USD 155 million syndicated pre-export facility for Transoil Group. The formidable list of clients, among others, includes Alpha Bank, BNP Paribas, Citigroup, EBRD, Energobank, Erste Bank, ING, JP Morgan, Oschadbank, Societe Generale, UBS, Ukreximbank, UniCredit. The team is also reputed for working on finance projects in the energy sector. Last year was notable for advising NEFCO on over 10 project financings to Ukrainian borrowers aimed at increasing energy efficiency both in the private and municipal sectors. Partners Michael Kharenko and Nazar Chernyavsky are highly recognized in the banking community. Counsel Anton Korobeynikov and senior associates Iryna Bakina, Yuriy Draganchuk, and Igor Lozenko are the firm’s key practitioners. The Kiev team of Baker & McKenzie commands established close integration with banking/finance teams of other offices. In 2014 the office of the international law firm demonstrated an extensive list of assignments, having advised international financial institutions, banks, large Ukrainian corporates. In a recent highlight, the team acted as Ukrainian law and English law counsel to the Black Sea Trade and Development Bank in connection with its USD 30 million loan facility to DTEK Trading Limited Liability Company; acted as Ukrainian law counsel to the European Investment Bank (EIB) in connection with its EUR 220 million credit line to the State Savings Bank of Ukraine (Oschadbank), purporting to finance Oschadbank’s lending projects to small and medium size enterprises in Ukraine. The firm is also point of choice for handling multimillion cross-border restructurings mandates, as well as multi-faceted regulatory advice. The Kiev team is led by two partners. 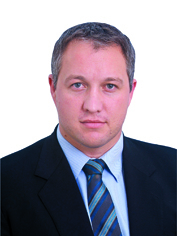 Serhiy Chorny, managing partner, heads the practice for about 15 years now, and is extremely respected professional. 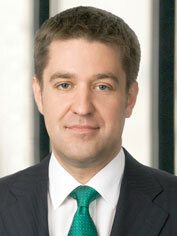 Ihor Olekhov, partner, is known for specializing in general banking and finance, financial regulations, banking M&A. Avellum Partners has an outstanding team that enjoys widespread market praise. The firm retains a balance between advising both lenders and borrowers, acting for leading international banks, financial institutions and large industrial corporates. Recently it advised ING Bank N.V. in connection with a USD 100 million sunflower oil pre-export loan facility to Myronivsky Hliboproduct (MHP). The recent portfolio also included secured lending and export loan facility projects. Throughout the past year Ferrexpo instructed the banking and finance team on a number of export financing credits extended to its Ukrainian subsidiaries by foreign banks. Glib Bondar, partner, received strong market feedback for his valuable experience in cross-border work. Being the only magic circle firm in Ukraine, Clifford Chance is known for its international expertise, guidance on English law and impressive roster of clients, mostly lenders: BNP Paribas, ING Bank, UniCredit Bank, Citibank, RCB Bank Ltd, VTB Bank, Deutsche Bank, Sberbank, Erste Bank, UBS, Morgan Stanley, Goldman Sachs International, Macquarie Bank Limited. The team is also often enlisted for running large scale restructuring mandates. The practice team regularly acts for international financial institutions. For example, it advised the EBRD on senior secured guaranteed loan of up to EUR 7.1 million to Rokytne Sugar Plant aimed at construction of a biogas plant, as well as on refinancing of existing facilities to Obolon, one of the largest Ukrainian beverages producers in the country. Counsel Olexiy Soshenko is endorsed for his good knowledge and cross-border finance experience. Jared Grubb, English-qualified partner and Kiev head, leads the dedicated team. Asters is known for its strong presence in field of lending transactions and debt restructuring work. The outgoing year was notable for bilateral lending to Ukrainian borrowers, as well as financial regulation. Asters traditionally performs lots of work for the EBRD and IFC. Notably, the firm acted as a Ukrainian law counsel to IFC in connection with USD 250 million financing to Myronivsky Hliboproduct and advised the EBRD on a EUR 8.5 million loan to JSC Farmak. The dedicated practice has seen promotions past year, when Yevgen Kravtsov and Yevgen Porada were promoted to partners. Armen Khachaturyan and Iryna Pokanay are highly active and renowned practitioners. Dentons is abreast of significant market transactions and enjoys remarkable international coverage. For example, the firm currently advises Sberbank (Switzerland) AG on launch of commodity trade finance activity in a number of jurisdictions, where the offices in Ukraine, Spain, Kazakhstan, France, Turkmenistan, Turkey, the UK and the UAE are involved and is led by the Kiev office. Another recent highlight was advising the EBRD on a USD 75 million loan to Ukraine’s PJSC Raiffeisen Bank Aval. Apart from various lending assignments, the team handles restructuring, regulatory and currency control advice. The practice was strengthened with the arrival in August of the new US-qualified partner Adam Mycyk. The banking and finance practice group head is Natalia Selyakova, who is known for her long-lasting experience. With its pan-European legal capability through the firm’s offices in London, Paris, Brussels and Eastern Europe, the Ukrainian office of Gide Loyrette Nouel often acts on cross-border financings and sale of loan portfolios, having been involved in numerous restructurings and workouts, as well as on banking regulatory and currency control matters. The Kiev team has strong relations with international financial institutions. For example, Gide advised the European Investment Bank on a EUR 50 million secured loan to agricultural holding Astarta Kyiv; advised IFC on restructuring a USD 30 million secured loan to PJSC Concern Hlibprom, a Ukrainian bakery holding. The clients list, among others, includes VTB Bank (Austria) AG, UniCredit Bank Austria AG, Landesbank Baden-Wuertemberg, Landesbank Berlin AG, Air Liquide, as well as some significant panel wins. The Kievteam has been strengthened by the appointment from Beiten Burkhardt of Oleh Zahnitko, who became banking and finance co-head together with Igor Krasovskiy. Egorov Puginsky Afanasiev & Partners Ukraine (EPAP Ukraine) reported on handling more than 40 projects, advising lenders, borrowers, arrangers, facility agents, guarantors and obligors. Most recently, EPAP Ukraine acted as legal counsel to BNP Paribas Fortis, arranger and facility agent, and AB Svensk Exportkredit (SEK), lender, in connection with a USD 10.7 million export loan facility to Ferrexpo Poltava Mining and guaranteed by Exportkreditnamnden, the Swedish Export Credits Guarantee Board. The team also acts as the Ukrainian legal counsel to one of the global leaders in online financial trading on various corporate law and regulatory issues related to setting up a commercial presence in Ukraine. 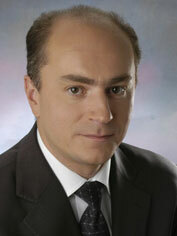 Roman Stepanenko, partner, leads banking and finance, capital markets team. Partner Ilona Zekely, an Austrian lawyer, guided instructions of Austrian, German, Swiss and other international companies. In 2014 DLA Piper Ukraine continued to provide full legal support to clients with regard to borrowing and lending, debt assignments, restructuring, leveraged buyouts and M&As. Recently the team advised one of the Chinese banks on leasing and subleasing of aircraft into Ukraine; and continues to advise a major international aircraft manufacturer on repossession of aircraft leased to one Ukrainian airline which is now insolvent. Among other notable projects are advising an international provider of web-based payment solutions on setting up in Ukraine as a financial institution and regulatory advice. The team currently advises an international financial institution granting loans to Ukrainian manufacturers on restructuring of its security collateral package in Ukraine. The team is known for its strong track record of advising on finance issues in energy and infrastructure sectors. The key figures of the team are llya Muchnyk, Rodion Ignatenko, and Mykhailo Byelostotskiy, under the leadership of Oleksandr Kurdydyk, partner. Vasil Kisil & Partners has shown a wider range offering, including lending transactions, restructuring, M&A, compliance, regulatory and operational matters. The practice group team acted as sole legal advisor to the European Union on granting macro-financial assistance to Ukraine and advised EBRD in restructuring of loan granted to Interdon LLC, a Ukrainian subsidiary of a listed company Sadovaya Limited.1 Recently the firm advised a major Ukrainian bank on launching an on-line microloan service. Oleg Alyoshin, partner, is the main contact. The fast growing AEQUO, established by five partners from Vasil Kisil & Partners,keeps its banking and finance practice active. The team’s recent workload consists of M&A in the banking sector, acquisition finance; transaction structuring and FX control advice, etc. For instance, the firm advised Remex, the Danish investment company, on real estate acquisition finance transaction. Yulia Kyrpa, partner and practice head, demonstrates involvement in project work. Denis Lysenko, managing partner, is a known legal practitioner with broad expertise, and advises on banking and finance, corporate, competition and tax issues. CMS Cameron McKenna keeps active in supporting lending, project and real estate finance, supplemented with high profile restructuring projects in 2014. The Kiev team is a preferred legal counsel for lenders that supplied finance to the borrowers from the agricultural, energy, real estate sectors. The team has been engaged in a flagship agricultural commodity financing in CEE/CIS for 2014. Hence, it advised ING Bank N.V., UniCredit Bank AG on sunflower oil based pre-export financing of up to USD 400 million for leading Ukrainan agribusiness Kernel Group. The banking and international finance team includes Vyacheslav Ovechkin and Kateryna Chechulina, under the guidance of managing partner Daniel Bilak. Arzinger has explicit engagement in supporting lending transactions, asset finance, restructuring and refinance, bad debts portfolios sale. The client portfolio has been supplemented with a number of new sound names and includes Alfa Bank (Ukraine), EBRD, PKO Bank Polski Group, Oikocredit, Volksbank, Big Dutchman AG, Raiffeisen Bank International AG and others. The firm advised the EBRD in its EUR 20 million investment in a joint project with the French agricultural group Soufflet Group and advised Kredobank (PKO Bank Polski Group) in connection with the sale of its bad debts portfolio. The team was enlisted for a number of restructuring and refinance projects, especially in agriculture, real estate and construction, where the firm traditionally retains a strong presence. The practice head Oleksandr Plotnikov, counsel, has been active throughout 2014 in terms of project work. Throughout the past year Integrites advised clients on a broad range of banking and finance law issues, including execution and performance of loan agreements and security documentation, acquisition of banking and other financial services institutions, financial services regulations. The firm has developed an extensive portfolio of ECAs clients. The practice team advised the China Development Bank Corporation on USD multimillion ECA backed loans to 13 Ukrainian green energy companies; advised Banque De Commerce Et De Placements S.A.on USD 25 million secured facility to Swiss subsidiary of the leading Ukrainian grain trader. Notably, both the Kiev and Moscow offices advised Fidobank onrepackaging of the loan portfolio in Crimea. This team’s long-standing clients, in particular, Astarta-Kyiv, Nibulon, Nadezhda, EBRD, IATA, VTB Bank, continues to instruct lawyers on cross-border financing. Vsevolod Volkov, partner and now head of banking and finance and international arbitration practices, played one of the key roles in the firm’s development last year. Due to its extensive work on state borrowings Lavrynovych & Partners is best known in this regard. The firm represented the Minister of Finance of Ukraine in a transaction of providing CAD 200 million loan to Ukraine by Canada. Moreover, the team acted on debt restructurings in the corporate sector, and handled advisory on payment systems and related regulatory advice. Executive partner Iryna Marushko is known on the market for her experience.Associate partner Olena Zubchenko is another core figure of this practice. Gvozdiy & Oberkovych handled a spectrum of banking and finance law matters, mainly arising from the agrarian, energy and pharma sectors. Headed by the senior partner Sergiy Oberkovych, the team advised a major national developer in the EUR 350 million project financing to launch a hydroelectric power station in Equatorial Guinea; and an Irish agribusiness in the EUR 350 million project financing from the EBRD to enable further development and launch of the Krasyliv Bio Power Plant in Ukraine. The portfolio of finance deals in agribusiness covered EUR 105 million financings for the Czech company Bauer Technics to launch a compound feed plant and grain elevator in Ukraine. Debt restructuring engagements involved both lenders and borrowers. In particular, the firm advised Diamantbank in the USD 40 million series of debt restructuring cases with Ukrainian corporate debtors, and Raiffeisen Bank Aval in the multi-million debt restructuring. The firm also counseled Prime Bank on the sale of its assets to Fingarant Insurance Company. Senior lawyers Iryna Kalnytska, Maksym Lebedev and Natalia Mysnyk are the key practitioners in the firm. AstapovLawyers international law group advises banks on corporate matters, debt collection, attracting finance and acquisition transactions in the banking sector. The firm recently advised the EBRD in a deal for transaction of shares of JSC Universalnaya for compliance with obligations in received financing; and rendered legal advice for debt collection to JSC FUIB. Reputed for its corporate expertise, Oleh Malskyy, partner, has a flourishing presence in this area. ILF (Inyurpolis Law Firm) experienced numerous requests from banks regarding their exits from annexed Crimea. This resulted in the firm’s engagement into the loan portfolios sale, assets relocation to continental Ukraine, as well as bad debt matters on the temporarily occupied territory. Litigation, bankruptcy, bad debt management appeared to be the busiest practices of the firm. Hence, ILF continued to be instructed by Ukrgasbank on issues of unfair bankruptcy and blockage of pledged assets. Bad debt work at the stage of enforcement was another important block of work guided by senior associate Eugene Starikov. Issues as to banks undergoing the liquidation procedure and banks with interim administration, bad debts of theDeposit Guarantee Fund are covered by Anna Zhebeleva under the guidance of the firm’s partner, Olexiy Kharytonov. Excelling in domestic litigation, Ukrainian law firm FCLEX developed its offering with finance work and restructuring. Among the recent clients are Ferrexpo Finance Plc, Ferrexpo Poltava GOK, Ferrexpo Yeristovo GOK, Mukachevsky Zavod Tochpribor PSJC, Galychfarm PJSC, Kievmedpreparat PSJC, DDSG Shipping Ukraine, Finance and Credit Bank, AutoKraz, Prisma Beta LLC etc. The firm’s most recent highlight is complex support to Ferrexpo Finance Plc in the process of concluding agreements aimed at securing the performance of USD 500 millionloan agreements. 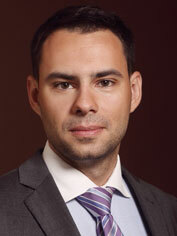 Andriy Nikitin, partner, focuses on corporate and finance projects. The firm took part in creation of the first transition bank in Ukraine — Crystal Bank. The firm proactively developed its practice of banking disputes, and represented Finance and Credit Bank, Terra Bank and Cambio in the court room. The litigation highlight is representation of AIS Corporation in a USD 88 million debt collection dispute with UkrSibbank. The key figures in litigation work are partners Viktor Barsuk, Oleg Malinevsky and Sergiy Chuyev. The banking and finance practice of MORIS GROUP has an established presence on the agrarian sector. The team continued to provide legal support on export financing to its regular clients UkrLandFarming PLC and AVANGARDCO Investments Public Limited. VAB Bank is one of firm’s most notable clients. In 2014 lawyers represented a client in a series of disputeswith various Ukrainian companies regarding bankruptcy procedures on application of a debtor, debt recovery, right to the recovered real estate objects. The firm is presently engaged in debt recovery disputes, where it acts on the borrowers’ side. Maryan Martynyuk, partner, is a key contact. Ilyashev & Partners is considered to be a major litigation force on the Ukrainian market. This team has been instructed for numerous litigations and enforcement by its long-standing banking clients Nadra Bank and BTA Bank. Additionally, the firm advised high profile clients on antimonopoly, tax, and insolvency matters. The firm worked on recognition of the order of the High Court of Justice of England and Wales in Ukraine to recover USD 451 million for the benefit of BTA Bank (Kazakhstan). On the advisory side, the team advised Deutsche Bank in a complex transaction on repayment of bad debt of a Ukrainian-Russian borrower for over USD 200 million. Partners Mikhail Ilyashev and Maksym Kopeychykov constantly act in this area. Renowned for its litigation work, LCF Law Group has an extensive portfolio of banking clients, like Alfa-Bank, Bank of Cyprus, Universalbank, Bank Novyy. In the past year the group successfully acted for Alfa-Bank in a series of debt recovery and mortgage disputes. The group, under the guidance of Artem Stoianov, regularly picks up restructuring mandates, and advised the Bank of Cyprus in a USD 63.5 million loan restructuring of PJSC Renaissance. Anna Ogrenchuk, managing partner, is highly active in dispute work. Misechko & Partners, a compact domestic team, centers itsbanking and finance offering for debt restructuring and debt recovery projects, including in court and out of court representation of both debtors and lenders. In a recent highlight to note is representation of Lariks LLC, Ukrainian foodstuff wholesaler, in a debt restructuring before Commercial Bank Contract; representation of Tehnotaun LLC, a provider of marketing services for the alcohol market, in a dispute with the Commercial Bank Daniel. The recent workload also includes regulatory advice. The firm admitted a new partner, Anton Lukovkin, in order to enhance its transactional offering. Gryphon Investment Consulting Group is rapidly developing its niche of banking and financial industry, servicing banks, credit institutions, financial and leasing companies, international and domestic payment systems, mobile operators, retail networks, IT companies, developers, industrial enterprises. Attracting finance and trade finance projects, as well as debt restructuring and related tax structuring coverage constituted workload of the group of late. Throughout 2014 the group handled significant projects in the areas of electronic and mobile commerce, e-money, money transfers, and terminal systems operation. Helen Lynnyk and Igor Lynnyk are the team leaders. Enlisted for supporting large scaled cross-border lending transaction in recent years, in 2014 Okhrimchuk Grushyn Khandurin advised clients on respective transaction conditions.The team, as guided by Andriy Grushyn, acted as Ukrainian law counsel to Deutsche Bank AG, Amsterdam branch,and other related finance parties in respect of introducing amendments regarding security issues to the latest facilities provided to Metinvest B.V.
Gramatskiy & Partners advised on attracting international finance by its regular clients City Capital Group and Seven Hills, Exco Plus Ltd; counseled on banking lending and guarantee issues, as well as debt restructuring track. The firm worked on the financial recovery program for PJSC TERRA Bank. The team includes Yuriy Zabiyaka and Igor Reutov, under the guidance of Ernest Gramatskiy. NOBLES, a Ukrainian law firm established after the German Noerr closed its office in Ukraine, acts on loan restructuring mandates and regulatory instructions. The firm advised a consortium of Austrian banks in relation to restructuring and pledge of shares and other assets of a Ukrainian subsidiary company of an Austrian group; advised Lloyds TSB on regulatory and contractual matters in relation to change in a bank’s name. 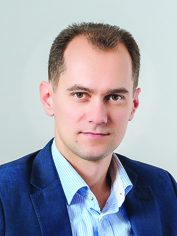 Volodymyr Yakubovskyy, partner, is the team head. 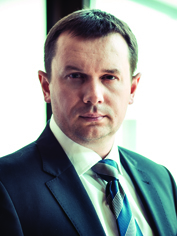 In 2014 Andriy Kravets & Partners had a sharp focus on debt restructuring mandates. For example, it rendered legal advice to Deutsche Pfandbriefbank AGin restructuring of the existing USD 36 million secured financing provided to a Ukrainian company operating the Aladdin Shopping Centre in Kiev. Julia Samoylova is the main practitioner. Alekseev, Boyarchukov & Partners is one of the most visible local teams for indebtedness projects. The major highlight of the past year was representing the interests of the Bank of Austria and Ukrsotsbank in the foreclosure procedure for the mortgage property of FIM Group. Sergey Boyarchukov is the central figure. EY extensively advised leading Ukrainian banks, investment, collection and leasing companies on various legal and tax matters. The lawyers accomplished structuring work regarding the real estate portfolio of one of the largest Ukrainian banks. Partners Igor Chufarov and Albert Sych are the key contacts. The lawyers of KPMG Ukraine advised a leading Ukrainian bank on insider transactions, loan provisions and Crimean business matters; acted for Martifer (international PV plant constructor and operator) on strategies of mitigating Forex risks in Ukraine and investment repatriation strategies. Tatiana Zamorska, director, is the main contact. Matviyiv & Partners, Lviv-based attorneys at law with an office in Kiev, commands notable experience of banking law, in particular in credit disputes resolution. The firm recently successfully finalized a few litigations representing Kredobank for the purpose of debt collection in the amount of UAH 107 million for mortgage property. Notably, in the past year the team was hired as a legal adviser of Kredobank for restructuring issues as well as developing and defining strategies for negotiations with Kredobank debtors, supervisory authorities in a large number of cases. The practice is headed by partners Roksolana Kostur and Iryna Pyatkovska. The Kharkov-based Kibenko, Onika & Partners performed as legal counsel for the Ukrainian dairy manufacturer INMILCKO PLC in obtaining a loan from OTP Bank; and advised the head office of Privatbank (Dnepropetrovsk) on debt recovery. Managing partner Olena Kibenko heads the team. SK GROUP attorneys at law is focused on debt and assets recovery issues. In 2014 the group represented PJSC UkrSibbank in terms of debts collection; and represented Promagroleasing Ukraine Ltd in the process of compulsory withdrawal and transfer of assets from the debtor. The firm advised individuals and companies at negotiations with banks with interim administration in the process of deposits recovery from the Deposit Guarantee Fund. Partners Olga Solovyova and Julia Kurylo are the main practitioners. Jurimex Law Firm has demonstrated its involvement in advisory on currency regulation, support in various aspects of loan agreements, as well as regulatory work related to payment and lottery market. The firm advised its consistent client Travel Professional Group on a range of payment issues; and supported state operator of lotteries MSL on attracting finance from abroad. The firm’s highlight is advisingBitcoin Foundation Ukraine on drafting legal regulations on the turnover and use of Bitcoin currency by the citizens of Ukraine and business entities. A significant share of recent workflow was dedicated to lending and extension of loan agreements by agricultural enterprises. Marina Slobodnichenko, Tatiana Prychepa, Vita Forsiuk were active across project work. KPD Consulting is focused on servicing banks, i.e. Piraeus Bank, Delta Bank, AMC Ukrsib Asset Management. Of late the firm advised the Ukrainian subsidiary of Sberbank of Russia on extending the loan facility to clients secured by intra-group guarantees. 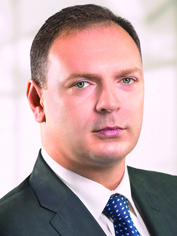 Partner Mykola Dolenko is practice head. Shkrebets & Partners,Kharkov-based firm, is actively involved in banking disputes. The firm represented the interests of 56 depositors of JSC Bank Golden Gate in litigation with the Deposit Guarantee Fund. Eugene Shkrebets, managing partner, is the main contact. Pragnum law firmadvised VAB Bank on restructuring of deposits and loan provision. Partners Vitaliy Bobrynev and Dmitriy Zhukov, are involved. The Kiev office of Czech law firm Peterka & Partners acted in projectsfinancing and debt recovery issues, as well as regulatory advisory. Alexey Ivanov, managing partner of Konnov & Sozanovsky, supported the acquisition of a majority stake in a Ukrainian bank. Law Agency Absolute worked on receivables assignment instructions and indebtedness projects. 1 The group of lawyers from the practice team including Denis Lysenko and Yulia Kyrpa, left the firm in August 2014..
Corporate structuring, restructuring and insolvency, fundraising in/with Ukraine assets buy-outs/ins, M&A, international transactions and joint ventures, domestic and cross-border money transmissions, e-commerce. Helen Lynnyk is nationally recognized as a leader in her field. Ms. Lynnyk focuses on international transactions and business modeling, competition strategies, expansion into new markets. Recently, she successfully represented clients who launched new products in banking and financial markets. She also advises on e-commerce and cross-border money transmissions and implementation of IT into financial services markets. Ms. Lynnyk represents companies on concentration, M&A, and buy-outs/ins in banking and financial sectors. She is a Legal Consultant at the International Finance Corporation (IFC, World Bank Group). In 2014 Ms. Lynnyk joined the Expert Council at the Deposit Guarantee Fund. In 2014 Ms. Lynnyk was ranked among the TOP 5 best lawyers in banking & finance and received the Legal Award 2014. In the same year she was recognized as one of Ukraine’s leading lawyers in banking & finance by Ukrainian Law Firms 2014. A Handbook for Foreign Clients. In 2013 the Annual National Survey Law Firms of Ukraine included Ms. Lynnyk in the TOP 16 of the most promising Ukrainian lawyers of the new generation and into the TOP 36 of leading national lawyers.